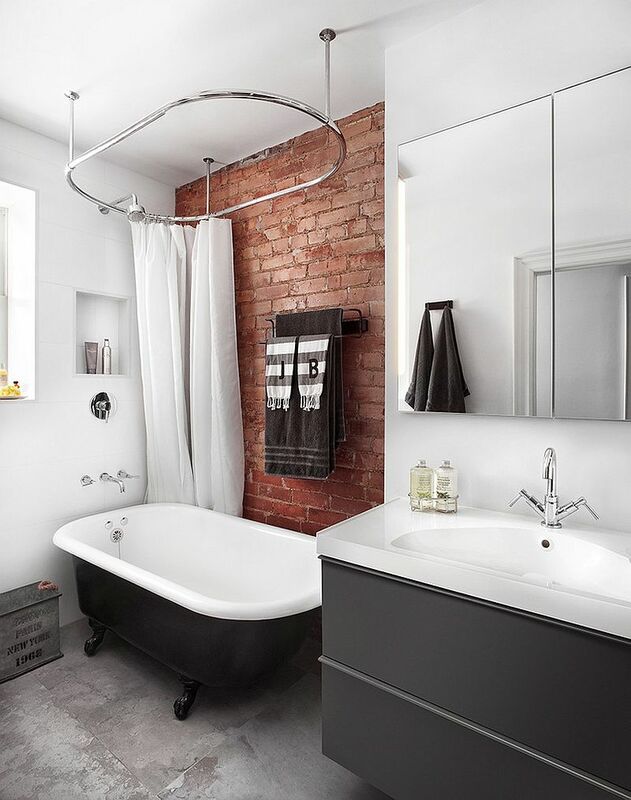 Bathroom design in recent times seems to be heading in two distinctly different directions, with one set of homeowners wanting a spa-inspired, stylish and refined space that is completely contemporary and another group embracing textural beauty and imperfect elegance. 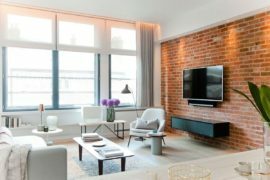 Brick walls definitely fall into the latter category, as they bring along with them a touch of roughness, ample contrast and a few rough edges that are pleasantly welcome in a modern interior. 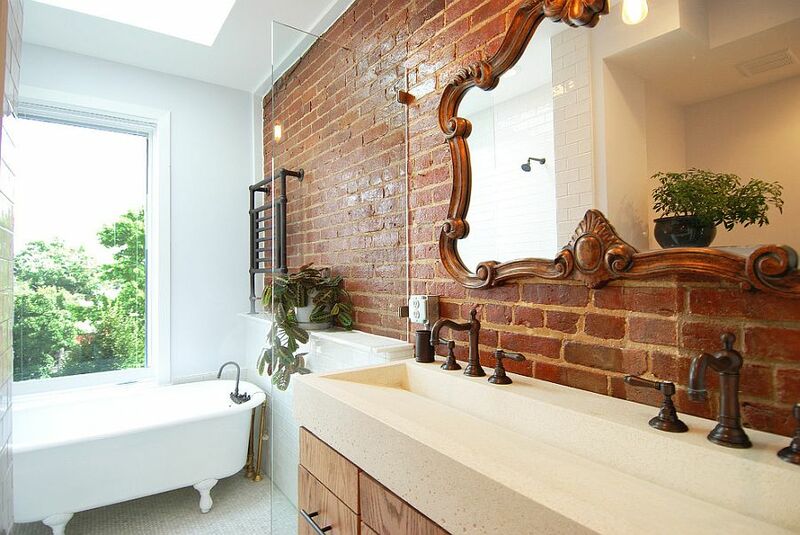 Brick walls fit in with a variety of styles, and with the right sealant or finish, they can be used with ease in the bathroom as well. 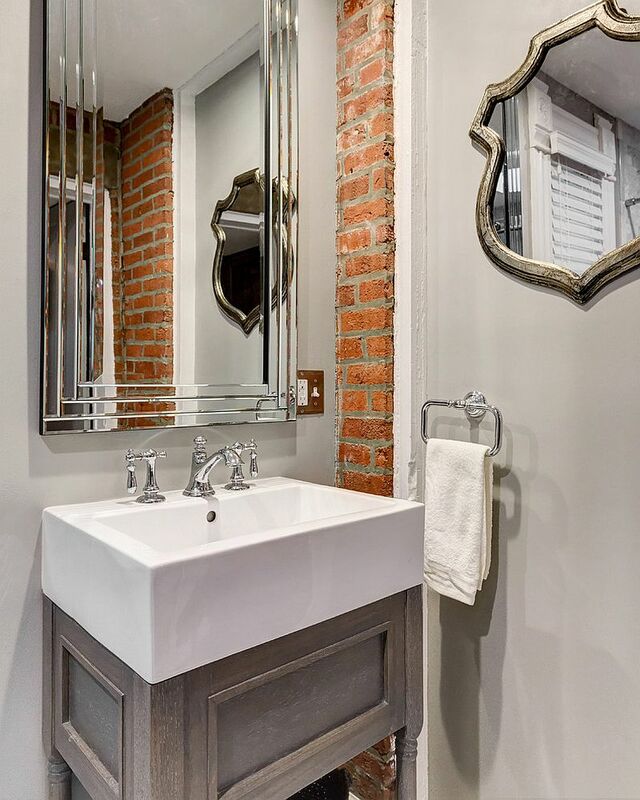 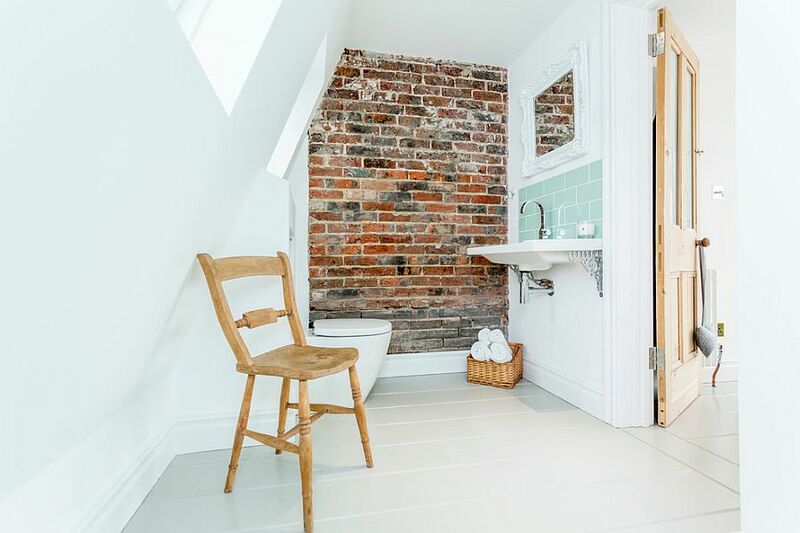 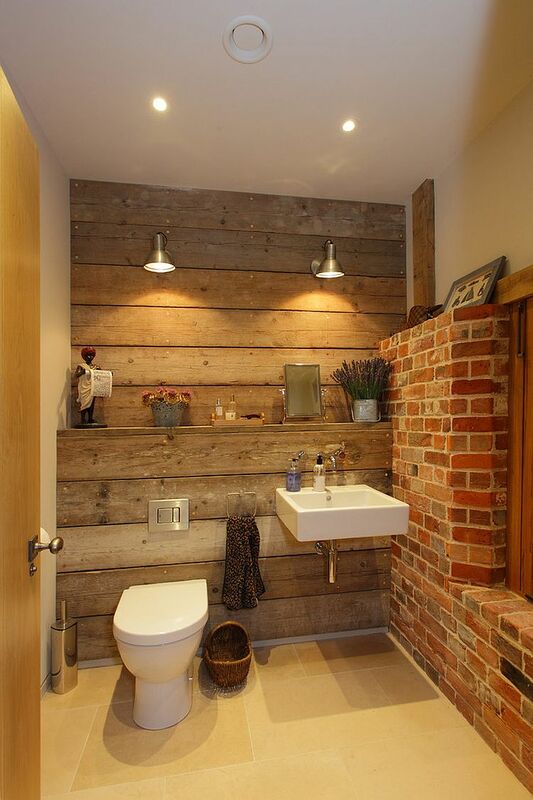 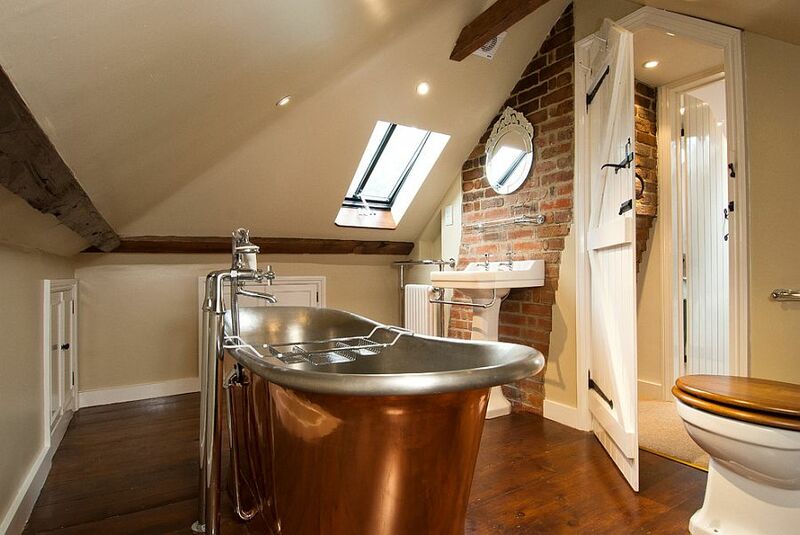 There are plenty of different ways that you can use brick walls in the bathroom, and while some might prefer surrounding themselves with these new-found treasures in their renovated loft, others might prefer just a small accent feature that adds visual variety to the setting. 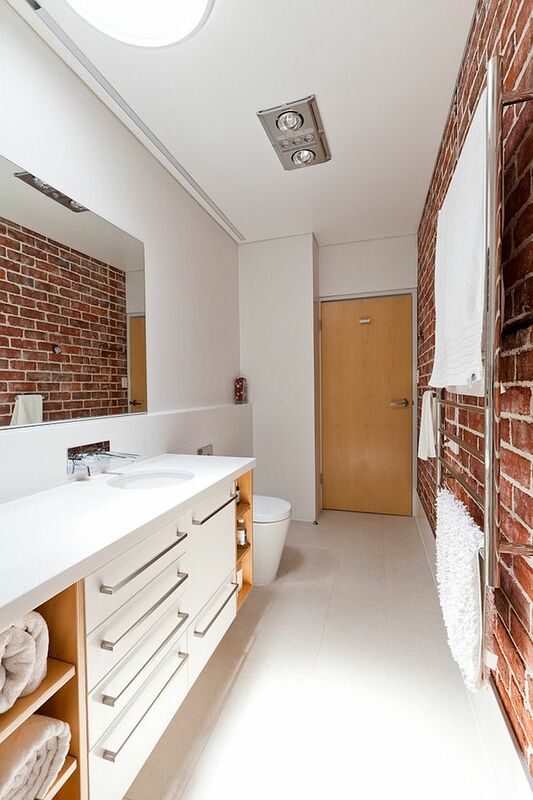 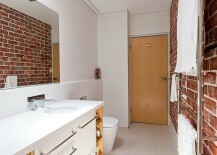 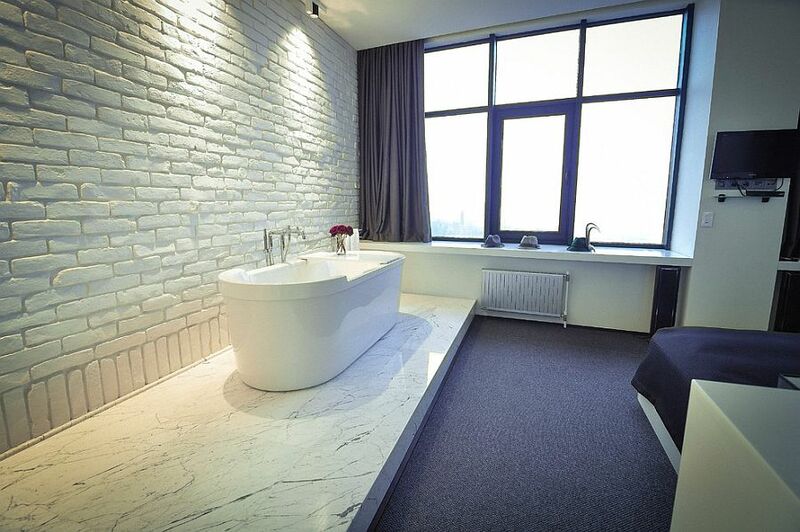 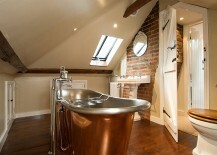 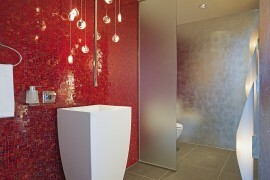 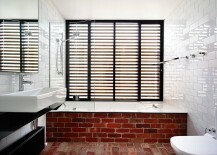 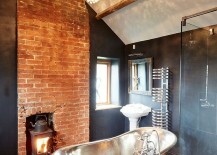 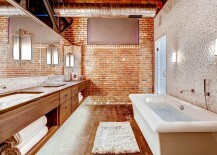 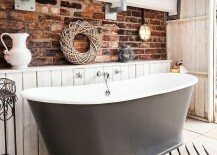 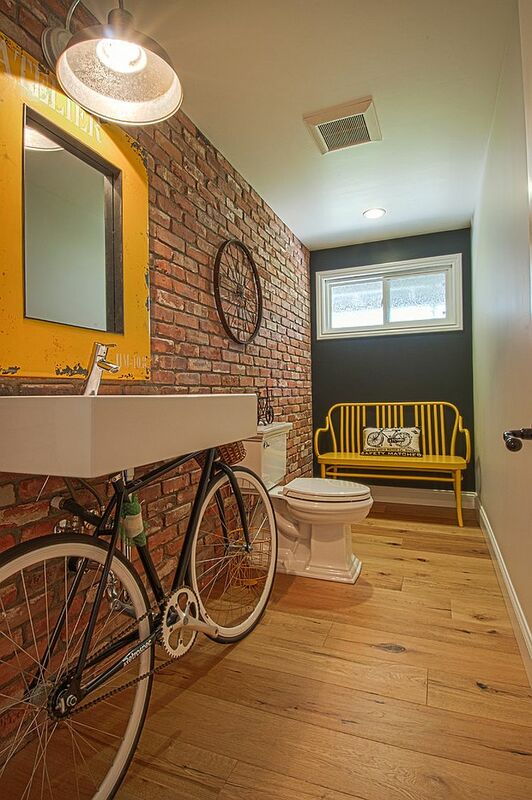 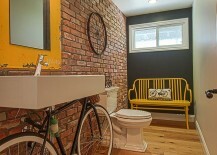 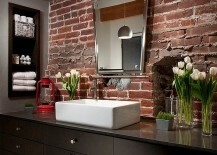 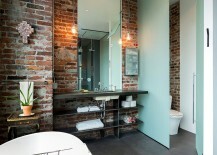 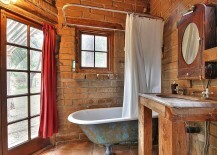 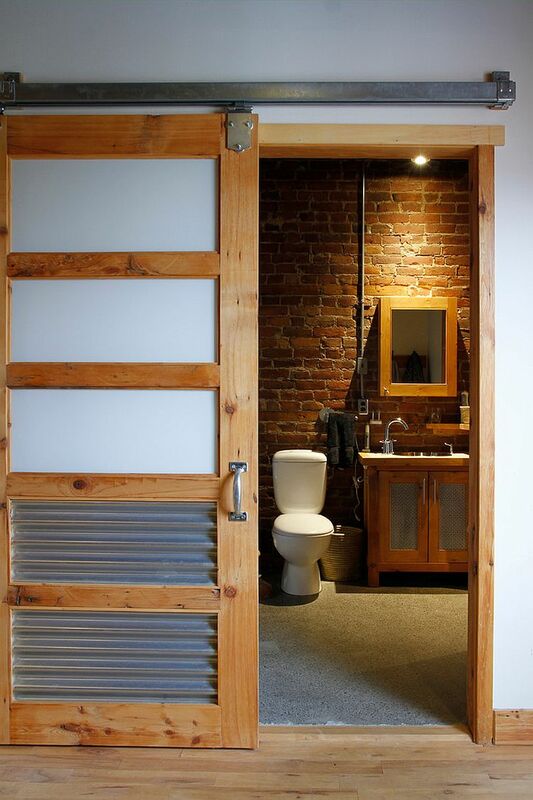 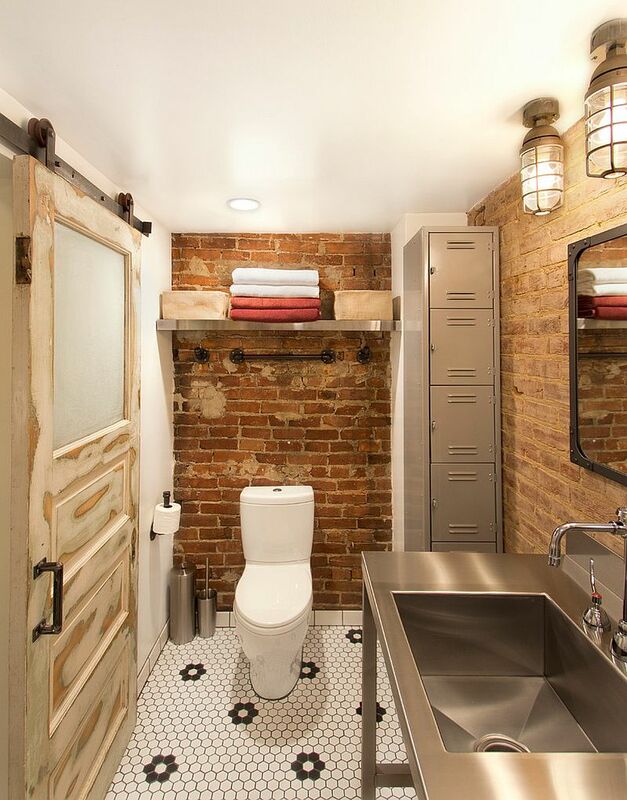 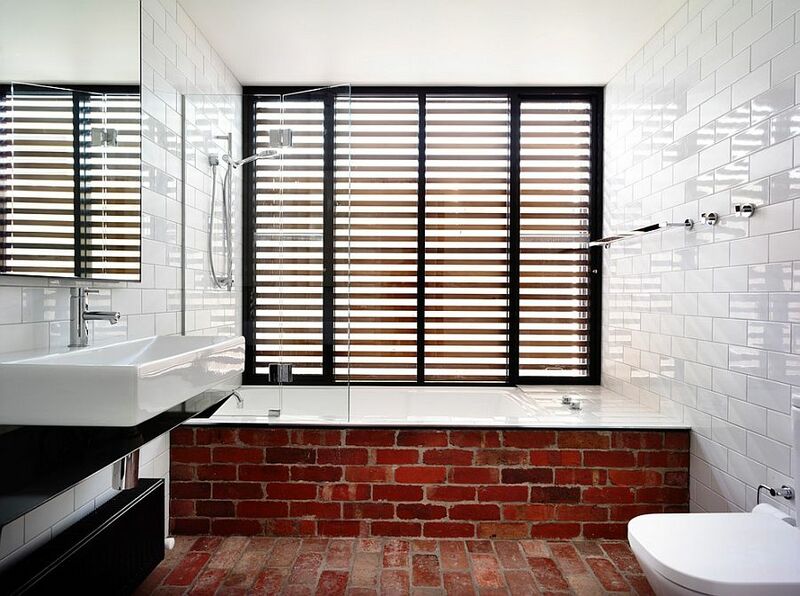 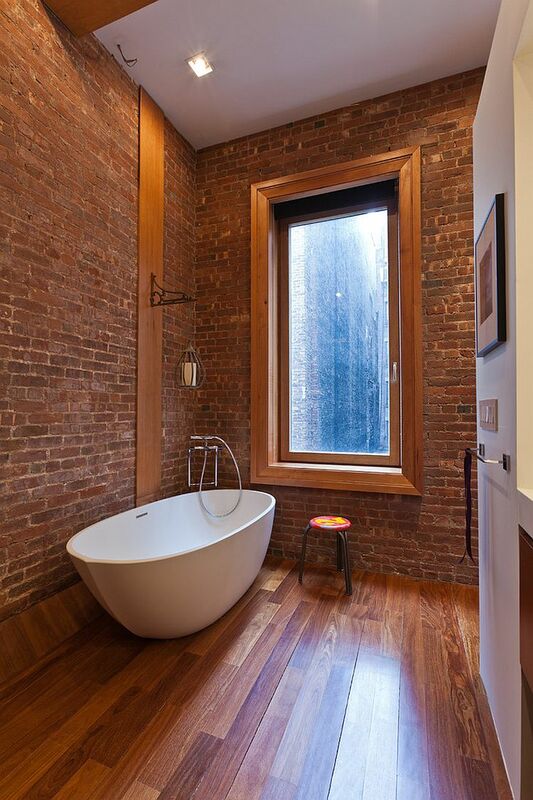 Regardless of which approach you prefer, the 25 bathrooms with brick walls on display today will leave you mesmerized! The first issue that most of us are concerned about when talking about brick walls in the bathroom is their maintenance and the possibility of mold. 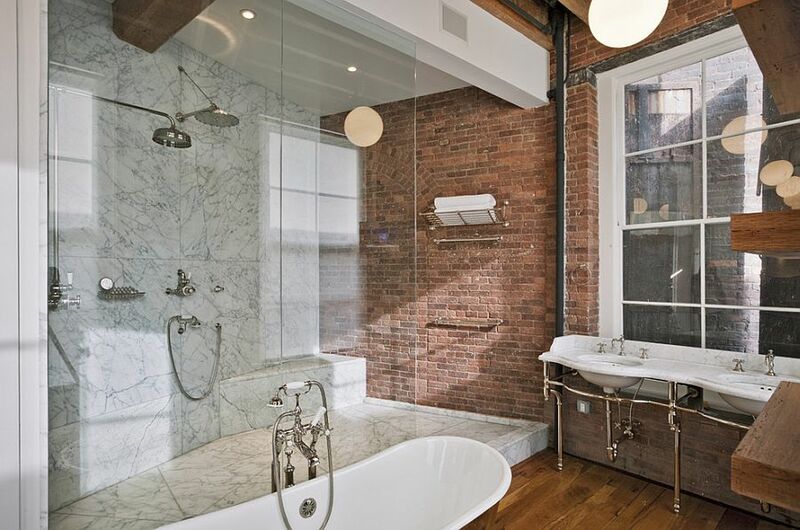 But that is a far easier issue to deal with than you would imagine, and with the right sealant and finish, you can not only keep away mildew and decay of the brick wall but also ensure that it has a glossy sheen that complements the other polished surfaces in your bathroom. 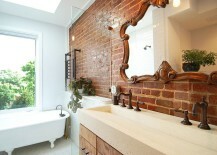 Such a backsplash is easy to incorporate by using brick veneer, even if your bathroom does not have lovely brick walls. 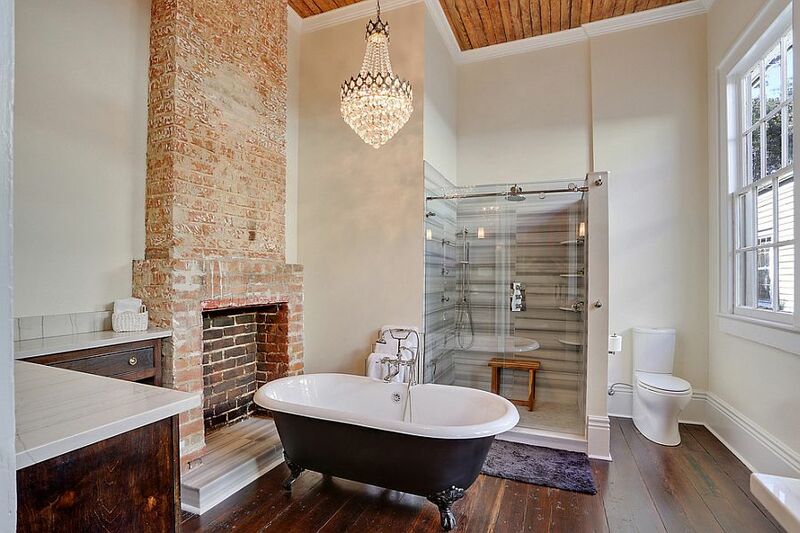 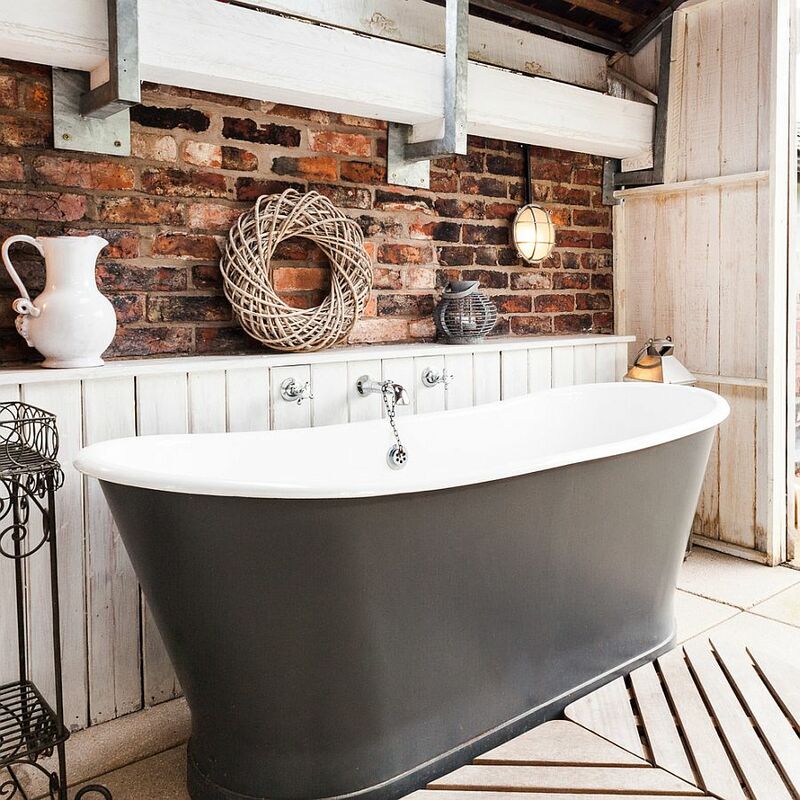 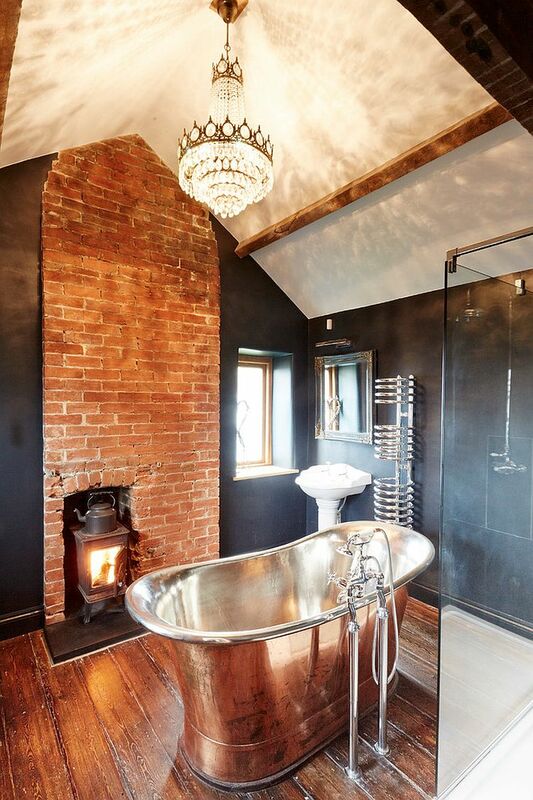 With industrial loft renovations and adaptive reuse of old structures becoming a common feature in the last few years, a brick fireplace or a revamped old chimney breast in the bathroom can become that stunning focal point that you are after. 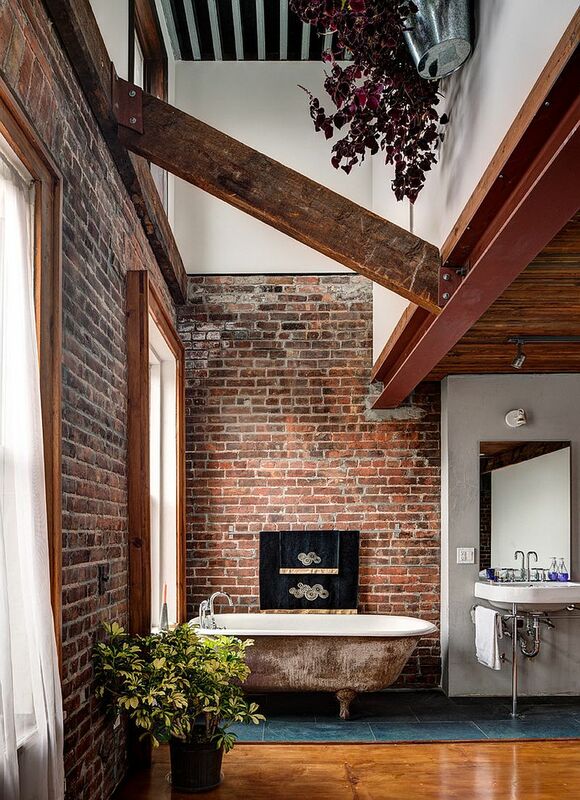 A brick fireplace in the bathroom adds an air of opulence to the bathroom while blending in with styles such as industrial, farmhouse or rustic effortlessly. 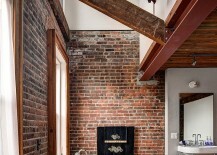 Small architectural features draped in brick are also pretty easy to incorporate without undertaking a major makeover. 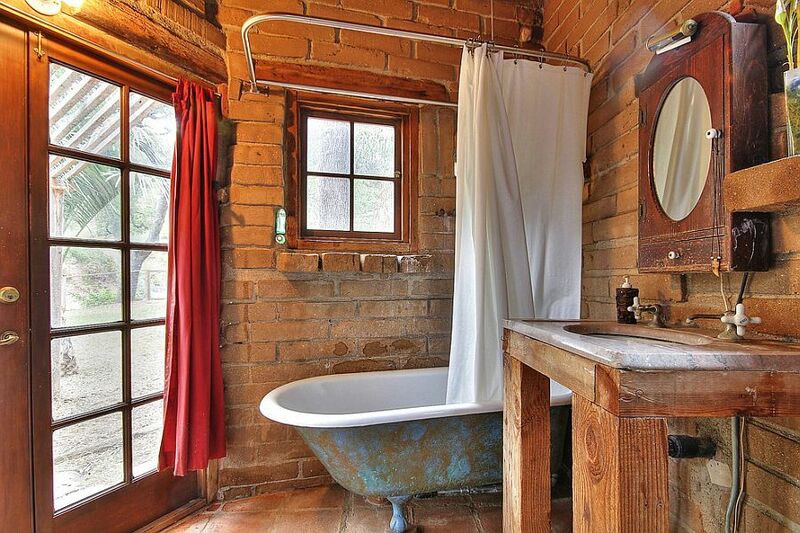 This is another contentious choice, with water seepage and steam being the biggest concerns again. 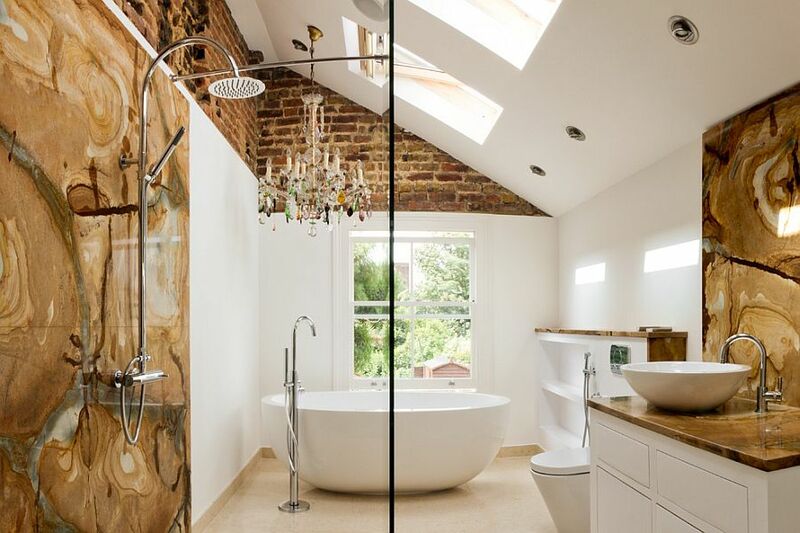 But placing the shower-head at a distance, using multiple layers of sealant and keeping the bathroom properly ventilated can easily solve this conundrum. 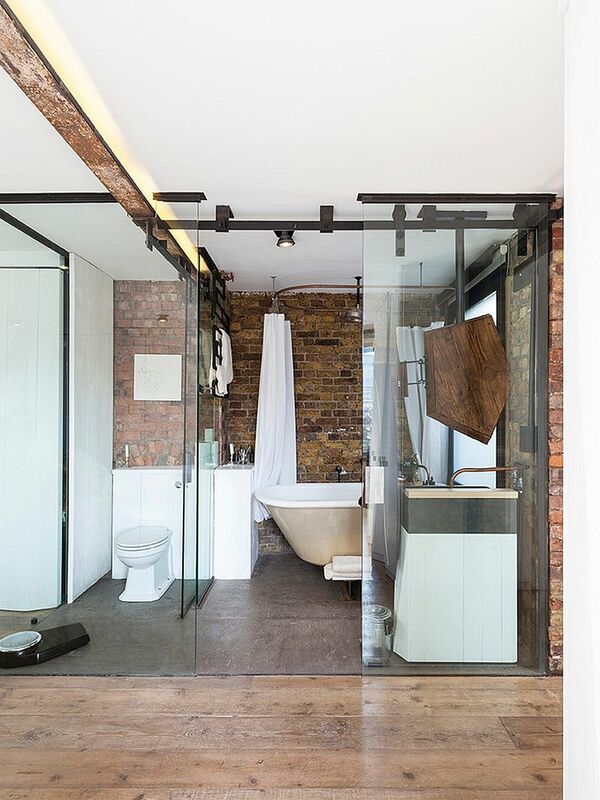 A glass shower cubicle combined with exposed brick walls creates a fusion of contemporary and rustic with ease, while using red bricks to create an accent feature in the shower area can add both color and texture effortlessly. 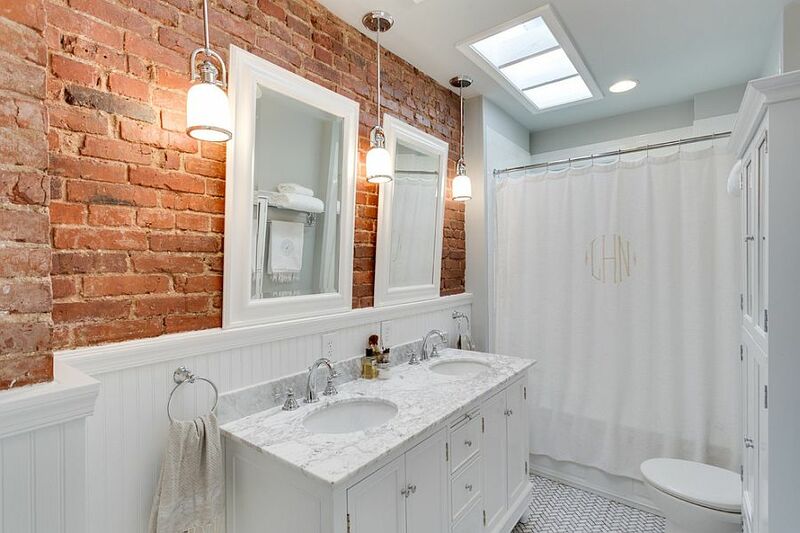 Subway tiles, marble and concrete – almost any material works well with brick when done right, and if you are not too happy with large brick walls, then use smaller, more appealing features instead. 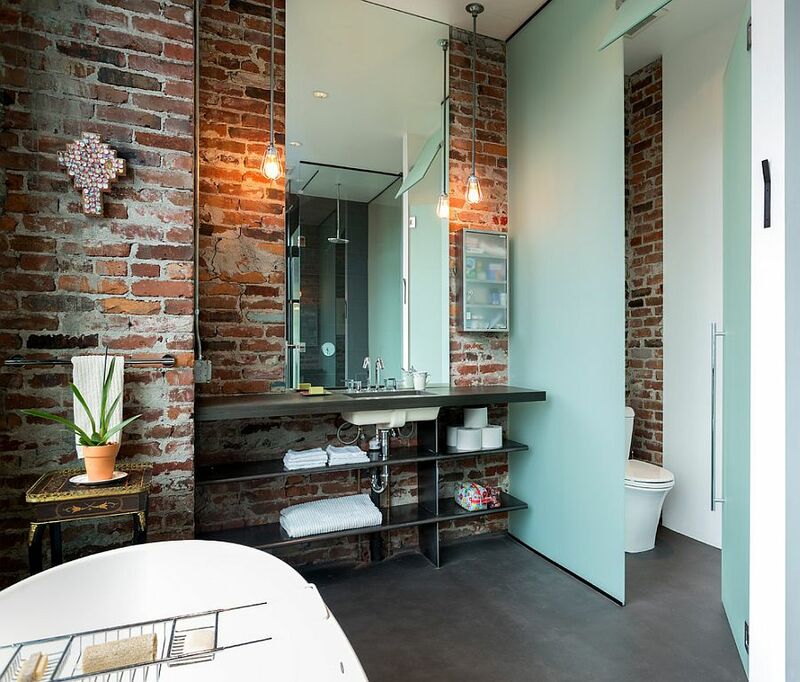 Colorful décor, industrial-style accents and stunning bathtubs can complete such a diverse and striking bathroom that has an exciting aura of its own. 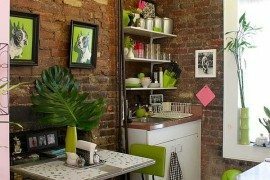 For those who detest all the red, a few coats of white, gray or even black paint can offer a cool, contemporary alternative. 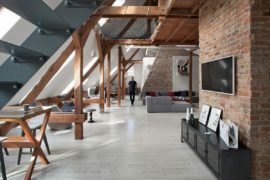 As always, we tend to gravitate towards the issue of lighting when discussing a design choice, as it is the element that can break or make the look of any interior. 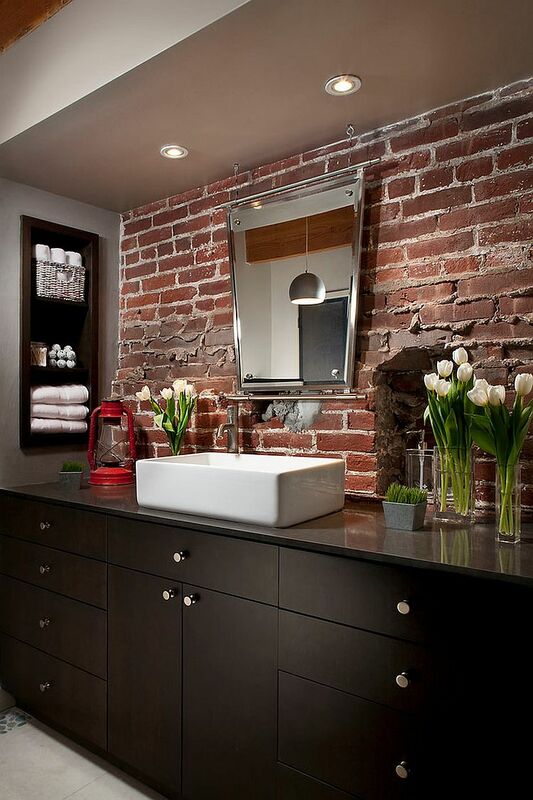 Sconce lighting that accentuates the beauty of brick walls in the bathroom is a classic choice that never fails. 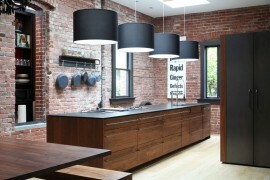 Industrial-style pendant lighting is another smart choice that shines through, even in contemporary settings. 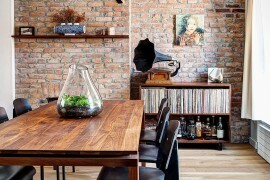 Dazzling chandeliers, upcycled, DIY pendants and strip LED lighting; the choices here are endless indeed!